Wilson Hartnell was delighted to be part of two client wins at the recent Social Media Awards 2013. 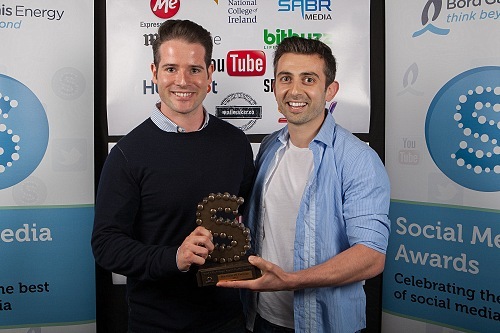 The awards, popularly known as “The Sockies”, are hotly contested, so it was great to come away with two gongs on the night. The National Lottery won for Best Social Media Only campaign. Its Facebook page is the National Lottery’s primary interaction with fans of the brand and the campaign was designed to reward fans with a fun app that would not only reward these fans but also raise awareness of an upcoming EuroMillions Super Draw. The app, Peggy’s Pad, was a fun online game which saw people virtually visit the home of the star of the EuroMillions adverts and compete to win €500 each day. The campaign involved a multi-agency approach. We wanted fans of the page to feel affinity with the brand, and also to play the game more than once all the while raising awareness of the EuroMillions Super Draw. The campaign was very successful generating a 16% increase in page likes, almost 13,000 players and almost 750,000 open graph impression during the five days of the campaign. Be sure to like the National Lottery on Facebook. As part of the global Ogilvy network, WH has access to a wealth of experience and knowledge in all aspects of digital. Here at WH we have a team of digital strategists embedded across all of our six practice areas; corporate, consumer marketing, lifestyle, health, public affairs and sports marketing. We work on all aspects of digital from strategy and channel planning through to content creation, app builds and influencer engagement. 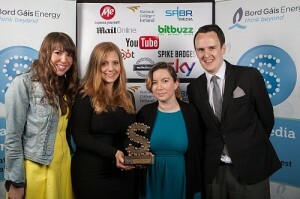 Funky Christmas Jumpers won for Best Online PR campaign. WH was tasked with developing and implementing a PR campaign to support the launch of Funky Christmas Jumpers 2012. A series of engaging tactics were created to drive awareness and sales including a launch event held in the pop up boutique on South William Street, Dublin. Online activity was driven through the use of high profile celebrities including One Direction’s Niall Horan and Harry Styles, Rosanna Davison and Scott Disick. Funky Christmas Jumpers also ran an online campaign to find Ted, the Funky Christmas Jumper’s mascot which was missing in Dublin and popped up in all sorts of places! Funky Christmas Jumpers became the go to option for the ultimate high quality Christmas jumper with features on The Late Late Toy Show and TV3’s Xposé secured among many others. Follow Funky Christmas Jumpers on Twitter, Facebook or The Funky Christmas Jumper Blog.